Weekend Box Office Takeaways: What’s Smarter Bet? Costly Franchise ‘Star Trek Beyond’ or Low-Budget Horror Flick ‘Lights Out’? Studios throw gobs of cash at tentpoles that don't always pay off, while low-budget genre flicks like 'Lights Out" can be huge moneymakers. Justin Lin’s “Star Trek Beyond,” the third installment in the J.J. Abrams “Star Trek” series, boosted the summer of 2106 back into positive territory. “Star Trek Beyond” came in 16% ($11 million) lower than its preceding franchise entry. That’s an improvement over “X-Men: Apocalypse,” which fell 26% from its last edition. At an estimated $59.6 million, “Beyond” opened $13 million or about 28% better than “Ghostbusters” last week. The gross is bigger than any opening weekend from mid-July through October last year except “Straight Outta Compton.” So it’s just fine, more so because it comes in at the high end of pre-opening estimates. The downside? It marks an ongoing decline in an ongoing series, and one that since its rebooting has shown international returns at best equal to domestic. If “Beyond” continues to play out with a 16% drop it would come to $192 million domestic, and if the world plays the same (its early returns are also down from the last film), that would be a $380 million total theatrical take for a project with a pre-marketing budget of $185 million. Compared to Paramount’s other top franchise, this falls somewhere between the full run drop for “Mission: Impossible – Rogue Nation” (only about 7% less) and the greater drop a decade ago between the second and third series entries. While “Fast and Furious” helmer Justin Lin delivered energetic CG space battles, he took the series back to its human-scale, character-driven TV roots. Bottom line, this is a mixed result, slightly better than break-even, an important film for Paramount with its fewer releases and franchises overall. But this middling performance serves as a warning that while “Beyond” marks another well-received and high-quality “Star Trek” movie (reviews have remained consistently decent), the franchise is getting long in the tooth and needs fresh thinking. Exhibitors wouldn’t be happy, but if studios cut out the expensive films and concentrated on original genre titles that cost $5 million to make, they’d breathe easier. Not that they’re going to back off chasing franchises—when they work they work big— but yet another horror film is in the thick of the Top Ten: “Lights Out” took in better than a third of the gross of “Star Trek Beyond” with a budget $180 million less, a lesson previously taught this summer not only with other horror films but Sony’s $17-million Blake Lively shark thriller “The Shallows,” which scored with young women ($65 million worldwide). The most recent horror revival has been led by thrifty producer Jason Blum and director James Wan. (Timur Bekmambetov contributed with “Unfriended” last year). These smart filmmakers recognize the potential that original material, canny packaging, respect for core audiences, low budgets and target social marketing media can realize. The horror audience is fickle, but ready to respond to the right hook. Devoting some of the same attention to these cheaper films that otherwise might go to some expensive comic book or rebooted familiar franchise makes sense. The irony is that horror films, even the best ones, remain B-fare. Though the current batch won’t be seen on many Ten Best lists, Hollywood recognizes their importance to the bottom line—although whenever they lose luster due to too many imitations of hits, producers have to think through yet again what works. But horror has remained appealing for younger date-night oriented audiences (R-rated or otherwise) as well as other core ticket buying regulars (particularly minorities). It seems basic, and it’s easier when costs are lower, but the powers that be have figured out that giving rising directors with skills a shot at these genre films—with freedom to create original movies with franchise potential— is frequently rewarded at the box office. “Lights Out” is another example of this. Animation fatigue has finally set in. “Finding Dory” and “The Secret Life of Pets” combined have totaled $720 million in under six weeks. That means (with kid ticket prices taken into account) that somewhere close to 100 million admissions have been sold. That is the most animated films released in a concentrated period ever. These have come with films that satisfied folks, not just default “let’s see the new cartoon” responses. 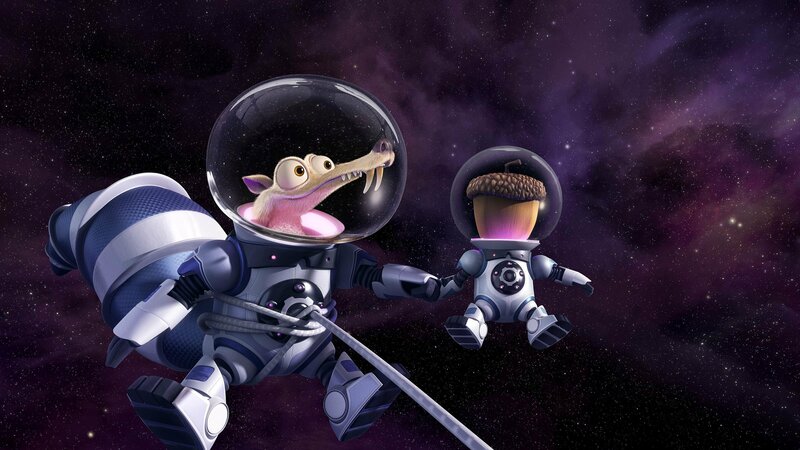 “Ice Age: Collision Course” is the fifth film in the Blue Sky series that domestically has grossed (unadjusted) an average of $175 million. And they have been much, much bigger worldwide. “Continental Drift” four years ago grossed $716 million foreign compared to $161 million domestic. “Collision Course,” which opened earlier in much of the world (with relative release dates on the recent animated films making some difference) has already taken in $179 million with much more ahead. Fox could have not released the film in the U.S. and still made a profit (with the initial budget at $105 million), or gone the Disney route on some sequels and gone for a home video release sometime after international had played out. That might make sense for the likely next entry, but this time around they’ll certainly justify the domestic marketing cost (and still get home video results later). And in a competitive market where a studio’s market share can make a difference, anything that helps keep Fox—which is currently second to Buena Vista, albeit with just better than half the revenue— elevated is important. But it does raise some concern that yes, consumers are getting a bit more picky about their animation choices. The only holdover to fall over 50% was last weekend’s sole wide release “Ghostbusters.” 53% down is middling —only slightly more than “The Secret Life of Pets” second weekend falloff. That is downbeat news, because “Ghostbusters” needs every last domestic dollar to make up for the comedy’s likely weak foreign performance. Sometimes the final sense of a title’s future doesn’t settle in until week 3. But at this point it looks headed to around $125 million at home. The two animated smashes fell 42% (“Pets”) and 36% (Dory”), both somewhat reduced by “Ice Age,” both still very strong, with “Pets” in its third weekend outgrossing “Ice” in its first. “The Legend of Tarzan” continues to show some life with a 44% drop. 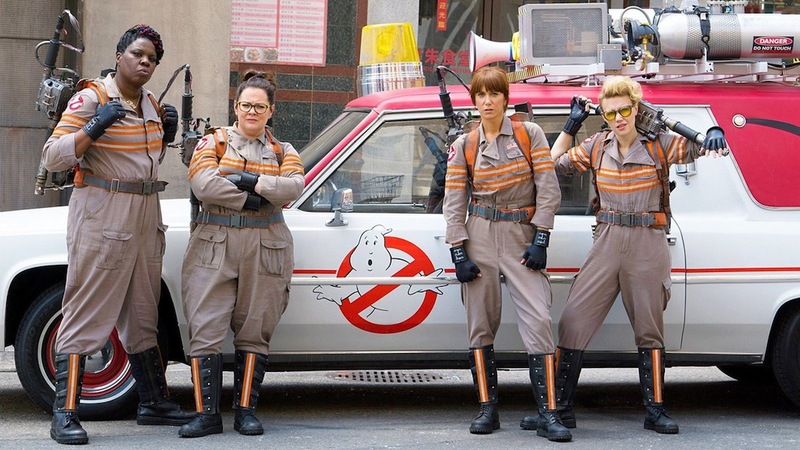 It appears to be heading to a $130 million or better total, and if so probably just ahead of “Ghostbusters,” which opened bigger. But it also cost $36 million more. So far its foreign haul is $145 million, so it looks like another nailbiter than could go either way. Performing like an older audience film, “The Infiltrator” dropped only 38% from its so-so start, which gives it a chance to hang on to many good theaters next weekend, although it will struggle to get much above $15 million. The Top Ten box office turned a 16% drop last week from the same one in 2015 to a 29% increase this weekend due to three new wide studio releases opening compared to one last week. That the top one (the latest “Star Trek”) came in about 30% above “Ghostbusters” last week contributed as well. That makes it the fourth best weekend of the summer (May-August) season this year. At $178 million it is better than any weekend from the same point on last summer (the best was $140 million), with “Mission Impossible: Rogue Nation” and “Straight Out of Compton” the two big remaining openers. This year still has “Suicide Squad,” which is certain to be bigger than either, but also upcoming releases “Jason Bourne,” “Pete’s Dragon” and others, with the Olympics soon to present competition. 2016 to date is now up 2.2%. But the summer plummet of 22% so far has brought down the early year improvement. The good news is the rest of the summer should give a fighting chance for 2016’s totals overall by the end of the year, even without an equally strong “Star Wars” film (or “Hunger Games” or Bond). Equaling 2015 would be relatively good news (with international up) for theaters, even if the studio results (with uneven division of results and some stuck with expensive turkeys) differ. Along with the particularly crucial contribution of animated smashes keeping the summer downfall from less than it could have been, the increased number of wide studio releases (up about 25%) has played a vital role in shoring up the box office.